Human activity is undeniably affecting the rates of change of many parts of the global system. How this global change develops into the future is vitally imporant, but modelling these changes requires a complex, integrated assessment of a wide range of disciplines in science and social science. 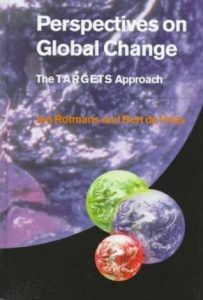 This book describes the structure, assumptions, philosophy and results of an advanced global integrated assessment model: TARGETS. For a number of future directions selected on the basis of divergent cultural perspectives, the model charts global implications in terms of population and health, energy, land- and water-use and biogeochemical cycles. This integrated assessment approach has led to innovative fresh insights into global change. The book will help policymakers formulate the strategies required for a sustainable global future. It will be of interest to a broad audience, from researchers and modellers of global change in science and social science, to policy analysts, decision makers and economists, and students of all aspects of global change.